If someone who ordinarily lives in NSW dies without a valid will, the rules of intestacy will very likely apply to their deceased estate. 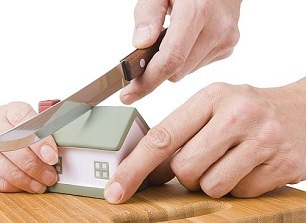 The rules of intestacy in NSW can be found in Chapter 4 of the Succession Act (NSW) 2006. They provide a framework and formulas to allow a person’s estate to be divided and distributed to beneficiaries in the absence of a will which would ordinarily set out a person’s last wishes. Who should be responsible for administering the estate, and can therefore make an application for Letters of Administration? Who was survived by the deceased that may be entitled to receive a benefit under the rules of intestacy? How can proof be provided that the deceased either had, or did not have, a spouse or de facto spouse? How can proof be provided that the deceased either had, or did not have children? Sometimes, the answers to the questions above (and many other relevant questions) are not very clear. Litigation can result where there is an argument about the legitimacy of any claims made by people upon the estate and the Court is required to make a decision about certain facts. Donald, obviously dissatisfied with the findings made by the Registrar, asked for the matter to be referred to a Judge. The Judge reviewed the same material and determined that the relevant factors to be considered were sufficiently addressed and that a finding that Donald was the surviving de facto spouse could be made. The factual scenario in the above matter is not uncommon, and you or people you may know may be faced with a similar prospect for their estates if they have not recorded their wishes in a valid will. The fact that the estate was modest at $117,000.00 in size did not mean that the deceased had no need for a will or that it would be a simple matter to deal with her estate after her death. The time, cost and argument that resulted could have been avoided by a simple will being made that named Donald as a beneficiary of the estate. If that had occurred, the questions left to be determined by the Court would have already been answered quickly and simply. We encourage you to give Turner Freeman a call today so that you can be put in touch with one of our expert Wills & Estates lawyers. 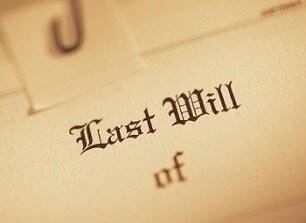 We can help give advice about wills, estate planning and the consequences of not having a valid or effective will.